While I’m not a pearl wearer, it’s safe to say I fell in love with pearls when I was a very young child. It all started with a little novelty that I thought was utter magic – a tiny little clam shell sealed with a bit of paper. You put the shell inside a tall glass of water and after the seal had a chance to dissolve, out floated a string on which there were paper flowers. A veritable underwater garden. That was it – I was entirely and forever smitten. And I understood all manner of magic came out of clam shells once someone told me they, and their cousin oysters, were the treasure chests of pearls as well. I could hardly imagine anything more fabulous. Pearls themselves have been valued and collected for more than 4000 years, so clearly, I’m not alone in having fallen under their spell. When, as an adult, I discovered there was such a thing as silver-lipped oysters, my delight was re-ignited. Silver-lipped?! More fabulousity plain and simple. I never really thought about what Mother of Pearl was, until I began a brief foray into the collection and study of buttons. But just considering the term, Mother of Pearl, can’t you conjure up a most intriguing character of magical persuasion? In truth though, mother of pearl, more correctly known as nacre, is the material produced by some mollusks as an inner shell layer; it also makes up the outer coating of pearls. It is strong, resilient, and iridescent. While MOP has been used extensively by many cultures for centuries, there was a huge market for MOP buttons in the 1900s. Surprisingly there was a time when nearly 40% of the world’s buttons came from the shells of freshwater mollusks found in the Mississippi River near the town of Muscatine, Iowa. Alas, my mollusk friends have amongst themselves another treasure producer; one perhaps I find even more swoon-worthy than pearls. Clams that produce byssus, which is woven into sea silk, the rarest of materials. I urge you to read this account and be enchanted yourself. Moving us back into the pearl realm, there is yet another kind of “pearl” worth mentioning – cave pearls. For many Asian cultures the pearl has represented the journey of the soul along the path to perfection, and I think this is a beautiful metaphor. There will always be challenges to face, but I believe the margaritiferous nature of life invites us to heal into wholeness. With time, wisdom and devotion, what we build of our lives is the treasure we bear and what we have to offer. What do you think? Do you love pearls? Has something from your childhood inspired you in unexpected ways? Do tell – you know I love to hear. You reminded me of such a happy memory…the clam shell that opened in water to display the flowers. I hadn’t thought of those in such a long time. A fond memory of visiting China Town in Los Angeles when I was very little. Another favorite of mine were the balls made of grosgrain ribbon like paper strips that, as they were unrolled would produce some tiny, brightly colored trinket made of tin. Some were small pan shapes with paintings on them, or a doll or animal. I think there would end up being ten or so little gems by the time the paper ribbon was completely unrolled. I do love pearls. When I was a lot younger, I would have occasion to wear a simple black dress. My mother in law gave me a beautiful string of real pearls and a pair of pearl ear rings that she used to wear. I don’t wear them anymore but still treasure them and the lovely memories I have of my MIL. I have never heard of cave pearls before. Fascinating! Oh Pattie – such wonderful memories! 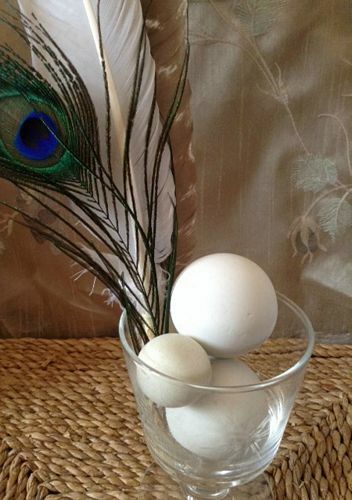 And what a delightful time must have been had unwinding the paper ball and uncovering the treasures – too much fun! How lovely to have been gifted the pearls by your MIL – those kinds of treasures are truly precious. I think it’s my birthstone too – I think I remember once looking it up .. I’ve had faux pearls before. But I don’t really wear jewelry, only occasionally ..I’ll refer to your post again Deborah when I get around to confirming or otherwise about pearls being my birthstone. 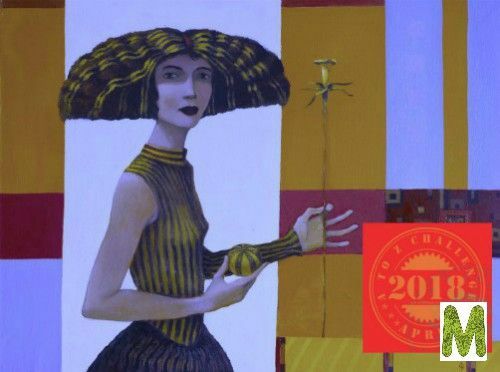 Fascinating history of this beautiful piece … thank you! Typically pearl is associated as the June birthstone, although perhaps that’s just an American association. There’s a Tibetan system that associates pearl with November though, so perhaps there are a whole lot of different associations. At first I thought your word was going to be about margaritas, the drink – LOL. When I was born my godparents gave me a necklace of tiny, tiny pearls. It was called an “Add a pearl” necklace and every year for the first 10 or so years they would give me a new pearl for it on my birthday. As I got older, they stopped but my parents added until I was 21. Then we were not able to get the pearls as small anymore. I loved that necklace but it is so fragile now that I don’t wear it. I may take it to a jeweler and see if we can update it to my 63 years! Have a great weekend. What a lovely practice initiated by your godparents Janet! You’ll have to post a picture – perhaps a before and after if you do end up adding to it. Thoroughly enjoyed the linked article – and your own exploration of the margaritiferous things in life! I often admire pearls on other people but am not drawn to them myself, though I do occasionally wear a small bracelet of freshwater pearls which I was gifted. I have hesitation about them due to the potential of harm to the creatures (old hand pearling removed but left creaturs wild – farming is a debatable subject). As a small addition, you may like this article about pearls from mussels (Margaritifera margaritifera) here in Scotland. Thank you for linking to the article Yamini – it’s admirable Scotland has such a law in place, and it would be wonderful to see similar legislation enacted elsewhere. Hello, fellow A-to-Zer! This was very interesting, especially the thing about the cave pearls. I had no idea that happened. Thanks! Hi Melanie – thanks for popping by. Looking forward to heading your way soon. 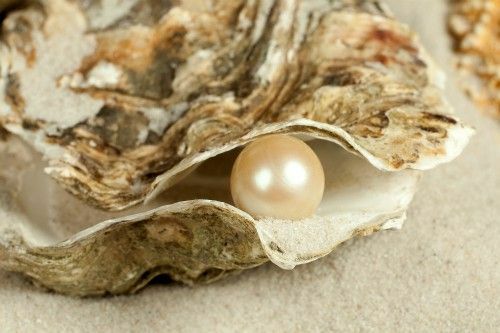 Pearls are indeed a fitting metaphor for life! Your post today makes me wonder about the name Margaret – the same etymology? How lovely to have those pearls Margaret. yes, I do love pearls. Last summer I went with a friend to a centre which sells gold and pearl and there I bought my 1st pearl necklace. It has just a hint of pink to it..almost blushing. When I take it off I love how warm it feels. I discovered that natural pearls are actually quite a rarity these days. Your necklace sounds gorgeous Zannie – I love that color. I wasn’t familiar with Elkie Brooks or that song – thanks for sharing it with us. And thanks for stopping by. Happy A-to-Zing. The first para of your post has me imprisoned in its magic Deborah. No, I’m not asking to be released. I’ll stay here for a bit–looking at the world through young Deborah’s eyes. I like it here. p.s. Qatar has a very old pearl diving tradition. Their aural history is full of stories of pearl divers. It’s fascinating. Thank you Arti. And I have to say I think one of the best “magics” of this life is that we can, even if only sometimes, find those child’s eyes within us still. It makes looking at the world so unreservedly extraordinary. I’m not a big fan of pearls. I appreciate the symbolism associated with them, BUT if you own any of them they’re fussy jewelry that cannot be near lotions or make-up without fear of ruining them. Being a woman of a certain background, I have a strand of pearls with earrings to match, of course. Haven’t worn them in decades. Your comment has me thinking Ally about how exactly pearls achieved the status of something so many women purchased/received. I suspect it was something akin to the jewelry industry’s marketing diamonds as the go-to engagement ring stone, but clearly there is something to be researched here. Now that is a word difficult to say three times in a row, haha. I don’t have a ‘thing’ for pearls specifically, although I find them beautiful too. LOL – we’re lucky to get through it once without our tongue in knots. What a fabulous garden find Patty. I love found treasures like that. Very interesting. pearls are amazing and beautiful at the same time. They are indeed. Thanks so much for stopping by Antoinette.